Long Beach is a truly unique city. Residents of this coastal city love how Long Beach manages to meld close communities, green spaces, and an urban feel. Famous for its focus on the arts, Long Beach boasts sunny days, ocean views, and beautiful suburban neighborhoods. When you're living in Long Beach, your landscape design can vary widely depending on where you live. From more coastal areas to urban homes, to suburban bliss, Long Beach has it all. 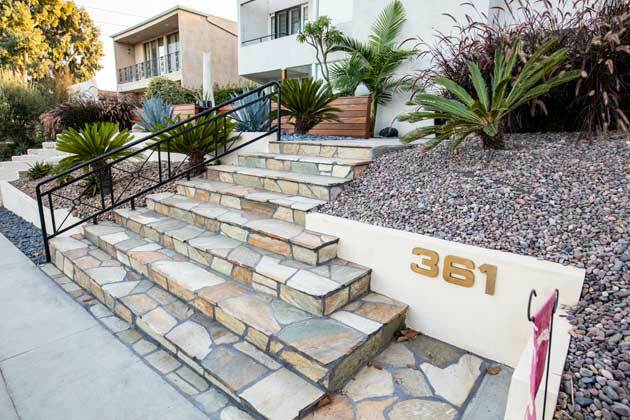 At Cutting Edge Landscape Design, we specialize in Long Beach landscaping, bringing our education and experience to bear in this unique city. Whether you're looking to install a pool and hot tub for your family and guests or tailor a tranquil backyard getaway in the midst of Long Beach's hustle-and-bustle, we can make your vision a reality. Additionally, we resonate with Long Beach's new green initiatives and focus on native plant, low-water landscaping. Long Beach is the perfect place to make the best outdoor spaces. It's a busy, happening metropolis with plenty to do and see — but sometimes it's even more rewarding to stay home, entertain friends and family, and enjoy the haven of your landscaped outdoor spaces. When we design and construct the structural elements of landscaping, we always aim for a perfect balance between form and function — for spaces that look absolutely beautiful but still allow for comfort and ease of use. If you're looking to design your outdoor space with the perfect balance of elegance and functionality, we specialize in making your Long Beach home the envy of your neighbors. Water features. There's nothing like jumping in a pool at the end of a long day in Long Beach. We create and construct pools, hot tubs, and jacuzzis that will keep your friends, family, and guests entertained and cool even in the heat of summer. We love crafting unique and specialized water features that make your outdoor space a perfect place to relax and play. Pathways. Paths and walkways help connect the separate elements of landscape design, creating a cohesive whole. 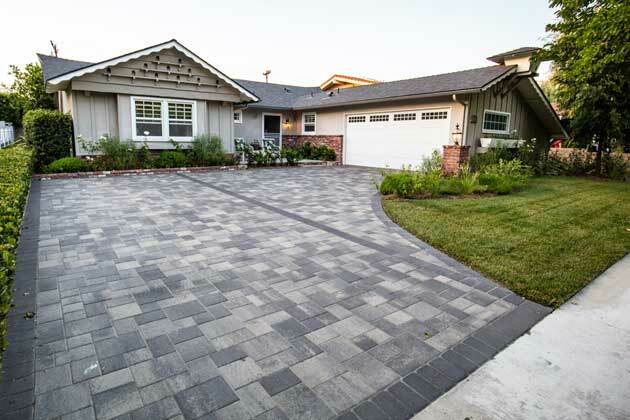 Pavers, bricks, or stones can create unique and beautiful pathways around your home, garden, and outdoor living spaces. Outdoor kitchens. Love firing up the grill? Enjoy whipping up cocktails in the outdoor kitchen? 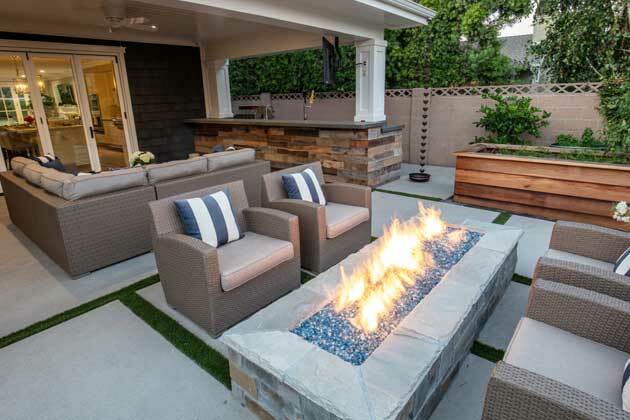 Adore the idea of gathering around a cozy gas fire pit? At Cutting Edge, we know how to design an outdoor kitchen area that suits all your needs, makes it easy to entertain, and opens up your definition of home to include outdoor spaces. Patio construction. For many of our clients, excellent patio design really helps bring an outdoor living space together. Patios create a gathering space for friends and family, and beautify our landscapes considerably. Lighting. Want to enjoy those beautiful Long Beach nights? Stay outside after the sunset? We specialize in constructing outdoor lighting that not only melds perfectly with the design of your home and outdoor spaces, but keeps your guests safe when the lights go out. Whatever your construction or installation needs for your beautiful Long Beach home, Cutting Edge Landscape Design can make your vision come to life. We know what it takes to create dazzling designs that impress your house guests, beautify your home, and create livable outdoor spaces. Get in touch with us to make your vision come to life. You may have heard the concept of xeriscaping this word bandied around lately. Basically, it refers to a landscape that requires little to no water. Not only is this important for the drought-prone Long Beach climate, but it also creates a landscape that's lower maintenance for you. It makes sense: the plants that are native to Long Beach grow better here. For example, plants like California coastal sage scrub are native to this area and flourish easily without a ton of water usage. We can design a native plant landscape that's beautiful, colorful, and full of native plants that flourish in Long Beach. Succulent gardens are more than just a few cacti scattered here and there. 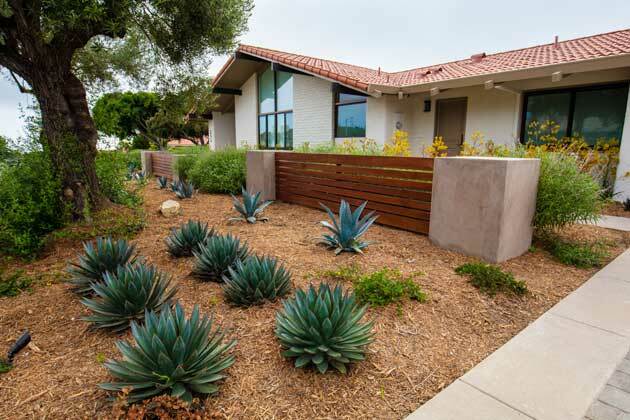 In reality, succulents range in size, color, and texture — and make for natural landscaping that's naturally sustainable in Long Beach. 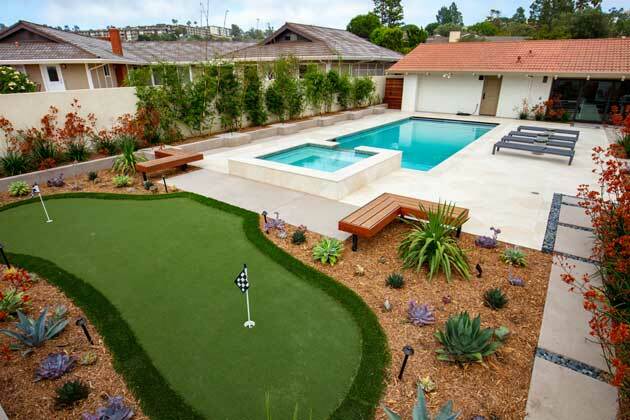 We know there are many landscaping services companies to choose from in Long Beach, California. We set ourselves apart with our college-educated, professional staff, our local knowledge, and our commitment to communication. In addition to our focus on creating unique, gorgeous landscapes that are 100% your vision, Cutting Edge Landscape Design takes service seriously. Are you considering a vegetable and herb garden so you can keep your family's plates fresh year-round? Contemplating the flowers that would bring your outdoor spaces to life? From gorgeous plant design to structural elements like outdoor kitchens, we can complete every aspect of your landscaping needs. This beginning-to-end service makes it easier and more convenient for you to get perfect landscaping. 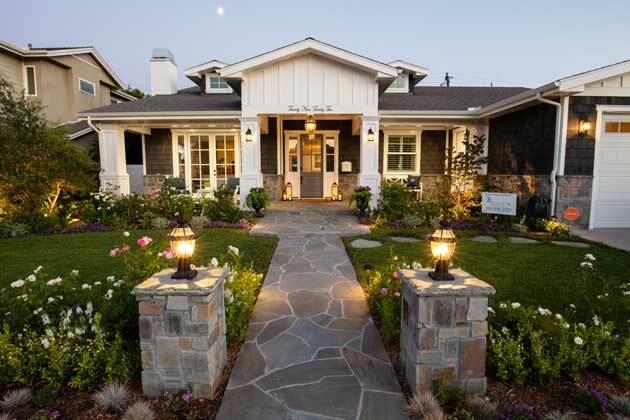 We have years of experience designing landscapes in the Southern LA area. As a locally-owned company, we take pride in our reputation in the areas that we serve. Our college-educated, fully licensed professional team promises to provide excellent service to back up our good name. At the end of the day, it's your home. It's your patio, garden, lighting, or spa. We'll always bring our education and expertise to bear while keeping your vision as the focus. Throughout the process, we want you to feel empowered to express your goals for your landscape design. At Cutting Edge Landscape Design, we promise to be available for you. At every stage, your questions, comments, ideas, and concerns are important for us. From your first point of contact with us, we promise to convey the experience, professionalism, and education that sets us apart —and focus our design process on your needs. So call us at (310) 406-2251 or contact us today to start planning your beautiful, unique landscape design for your Long Beach home!